A 15% discount on parts & lifestyle accessories over the counter at your BMW dealers. The dealers continue to be ardent supporters of the club and part of their support is honouring special treatment of current members, so please carry your membership card with you when you visit the dealers. TShow your membership card to get your discount. A 2% REBATE from BMW Canada on a new BMW. You must be a member for at least a year to qualify for the new car rebate and some conditions apply. Reward application Form HERE and details below. Discounts at a variety of local businesses. Ask when you frequent our sponsors. Membership is currently $60 for a one-year, $105 for a two-year or $150 for a three-year membership. Download a membership application form and mail or fax as indicated on the form. Cheque, Visa and Mastercard accepted. 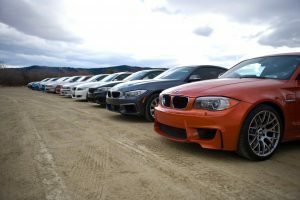 BMW Group Canada will extend a Special Discount of 2% of Manufacturer’s Suggested Retail Price (MSRP) on new cars or motorcycles to eligible members of any BMW Club of Canada (e.g. BMWCSA) who have held their membership in good standing for at least the last 12 calendar months. The 2% Special Discount is applied to the total MSRP of the vehicle purchased including all factory installed options and is capped at $2000 CDN. Special order options, dealer installed accessories, and surcharges are not eligible. All BMW vehicles qualify for the discount based on vehicle availability with exception of Pre-owned vehicles and BMW Group Canada ex-demonstrator vehicles. Previous restrictions on some models have been lifted. This discount must be applied for IN ADVANCE of your purchase; retroactive applications are no longer being accepted by BMW Canada! The application process takes between 2 -6 weeks so please plan ahead. The Discount comes as a Preferred Client Letter (PCL) that is good for one year. While you are requested to name a BMW model in the application you are not restricted to that model. Fill in the blanks, and forward it to your Club President, Greg Walsh by mail or email (walsh@bmwcsa.ca) or in person to certify membership qualification. The Club President forwards the Application to BMW Clubs Canada who ratifies the status of the local Club and forwards the Application to BMW Canada. BMW Canada will then issue a Preferred Client Letter (PCL) directly to you, the Applicant. With this PCL in hand you may approach the BMW Dealer of your choice, finalize the purchase a qualifying BMW, and then receive the 2% discount off MSRP (and not your negotiated price). If you have any question about the Discount program please drop Greg Walsh a note at walsh@bmwcsa.ca. Many of our corporate sponsors and advertisers offer a member discount or other consideration. Please support these businesses and be sure to ask what discount they offer to BMWCSA members. If you are having repairs made at either BMW Gallery or Calgary BMW membership may save you significant money plus you will have the added advantage of the other benefits. Our Calgary area BMW dealers have asked us to remind members that their valid BMW Club membership card will get them a 15% discount on parts and lifestyle accessories over the parts counter. The dealers continue to be ardent supporters of the club and part of their support is honouring special treatment of current members, so please carry your membership card with you when you visit the dealers.